I <3 Makeup is a sister company of oh,so successful Makeup Revolution. Although they do have slightly higher prices than Makeup Revolution, they're still one of most affordable brands right now. Ličila.si brought both brands to Slovenia and both brands also ship worldwide on their website here. Yes, there's a lot of misses (and some hits) but quality wise, I'm actually way more happy with I Love Makeup. Blushing Hearts were a total hit for me although I bought them only because of cute packaging. On the other hand, Go Palette left me a neutral aftertaste. Keep in mind everything from both brands is made in China, so those of you who's worried about ingredients should reconsider this brand. Go Palette contains 1 bronzer, 1 blush, 1 highlighter and 6 powder eyeshadows. You may find it pretty similar to Tarte Rainforest After Dark palette but with totally different shades, position and quality. I would consider this palette as travel friendly, if only I would travel enough to get a good use out of it. On the other hand, eyeshadows are crumbly so potentially there can be a mess. Pigmentation is average. Eyeshadows are soft however crumbly and messy. Shades were nicely picked so I could categorise this palette as everyday appropriate. I would love to see a plastic stopper over cheek products to avoid mess from eyeshadows. Longevity is okay however everything starts to fade throughout the day. 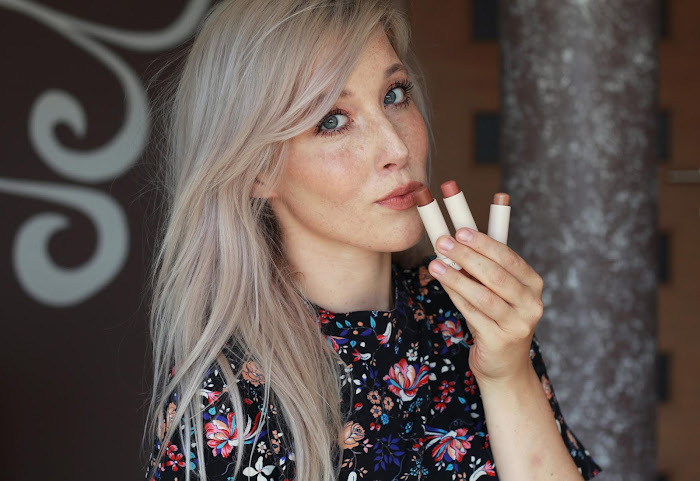 Blush shade is a traditional medium-light pink without any shimmer. Bronzer is slightly mauve and rose-y so it's ideal for fair skintone. I would be really happy to see this particular bronzer in a single form. Highlighter is a lovely, finely-milled creamy white shade that would suit any skintone. Pretty impressed by cheek department. Eyeshadows are another story. Shade spectrum is lovely and I could compare it to my Urban Decay Naked 3 with extra additional cool taupe shade. I swatched them with bare hands and didn't use any primer underneath. All sounds lovely but what I've noticed with these kind of palettes (looking at you too, Makeup Revolution) is that they got a great first layer. After using them several times, shades start to become more and more crumbly and harder to pick up. The only solution is to apply them with a brush, with a light pressure and slowly progressing through the shade.You can already see the darker shade crumbling. All in all, palette has a lovely assortment of neutral shades for every day. If you're not fussy about about mixing eyeshadows and blushes into 1 pan, this might be for you. For 9,95€ this palette is just ok, which is a shame for this kind of money. I'd rather stick with Sleek palettes. I can't see myself using this in the future but it's okay for beginners or teenagers. 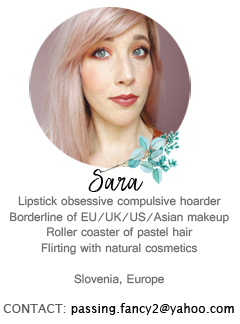 You can find I Heart Makeup on Ličila.si if you're from Slovenia and on Makeuprevolutionstore.com for worldwide delivery. Jaz se nikakor ne morem navdušiti nad temi paletkami, nekako mi samo pakiranje ni všeč, bi raje imela senčila bolj ločena od blusha, bronzerja in highlighterja. Čeprav so pa odtenki lepi. Se strinjam, sploh pa se taki seti izgubijo v moji zbirki. Sem ga raje kar podarila naprej vse te MR paletke. Mogoče je ok za tiste, ki še nimajo nobenih paletk.